The Ledger Blue is a high-end security device built to manage cryptocurrency transactions, smart contracts and digital identities. Architectured around a Secure Element and built on the dedicated Ledger’s operating System (BOLOS), it runs multi applications in full isolation, ensuring transaction integrity by the “What You See Is What You Sign” paradigm. Let’s see how it works with a few video tutorials. 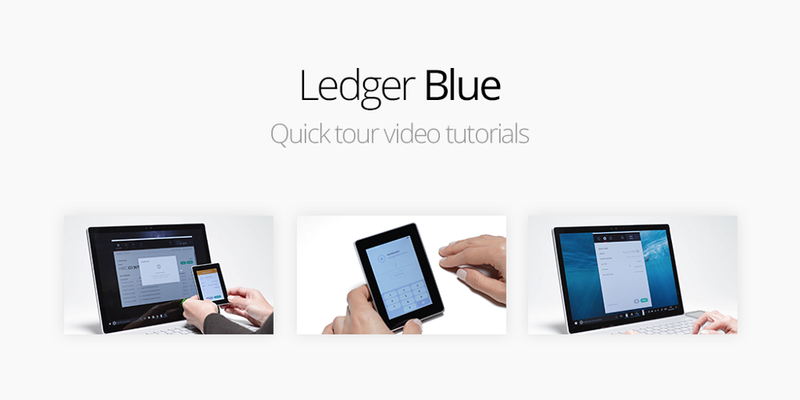 Once charged with any micro USB cable, the Ledger Blue is battery powered and can be initialized in a standalone way. Press 3 seconds the side button to power on and off. 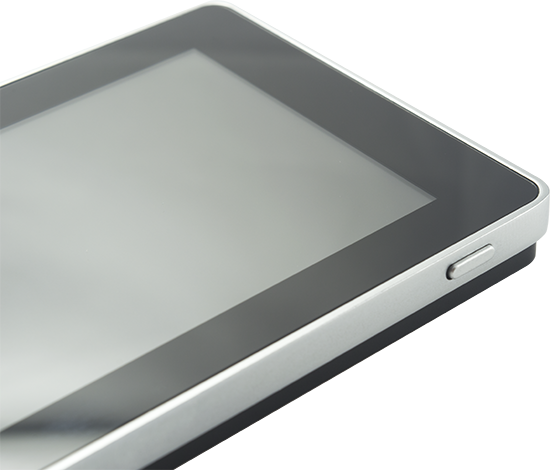 The whole navigation is done by tapping on the large capacitive touchscreen. Before using it, you must initialize your Blue by selecting between configure as new device (generate a new seed), or restore configuration (import an existing seed). In both case, you just need to follow the step by step instructions displayed on the screen, beginning with the choice of a PIN code of 4, 5, 6, 7 or 8 digits. This process creates a new “seed”, only known by you: it securely generates a random mnemonic recovery phrase of 24 words which is your backup. If you already own a Ledger (or another compatible wallet like Trezor or KeepKey), you can import your BIP39 seed with 12, 18 or 24 words. Set up your parameters or select the app you want to open by navigating on the dashboard and settings. With the Ledger Blue, you can validate and confirm the cryptocurrencies transactions made from the Ledger Wallet applications. The secure screen displays the transaction data (amount, recipient address, fees) which you can review before confirming. Three successive wrong PIN codes will reset the Ledger Blue. This process protects your accounts of theft attempts. It also allows you to reconfigure the device if needed.